The debate around energy in the U.S. is focused on building out more production to encourage greater economic growth. Efficiency, given a courteous nod, is often seen as something extra that we deploy on top of new production. But a new report concludes just the opposite: our economy is more closely tied to efficiency improvements than to the actual production of energy. John Laitner, a visiting fellow at the American Council for an Energy-Efficient Economy, wanted to know how much America spends on energy efficiency upgrades each year. That's not an easy goal. 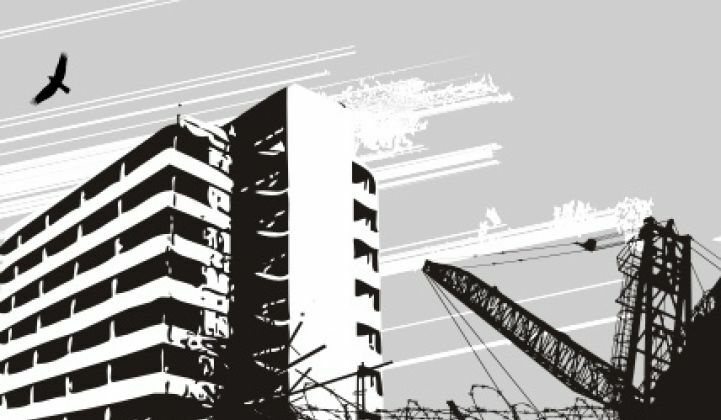 While it's a bit easier to quantify how much was spent on equipment and infrastructure upgrades for explicit efficiency reasons, it's harder to quantify the economy-wide impact of natural upgrades that might simply feature incrementally efficient equipment. When analyzing both categories, Laitner found that in 2010 (the most recent year for which full data is available), America spent roughly $574 billion on energy efficiency improvements across a range of sectors, including utilities, manufacturing, construction, appliances, and automobiles. That's an 80 percent increase in spending since 2004. It's also three and a half times the amount of money spent in 2010 on new infrastructure for energy production, according to the analysis. The actual "cost premium" -- or the additional cost to upgrade to more efficient technologies -- was about $90 billion in 2010. That's a little over half of the $170 billion spent on infrastructure for energy production. Laitner is clear in calling this a "working estimate" of the total investment in efficiency. For example, if one assumes that all new equipment purchases will result in an efficiency improvement, the investment figure rises. But if the analysis only focuses on the top 25 percent most efficient technologies -- the easiest ones to calculate -- those investment levels fall. Also, the analysis does not take into account supply-side improvements like combined heat and power. "One immediate conclusion from this assessment is that the productivity of our economy may be more directly tied to greater levels of energy efficiency rather than a continued mining and drilling for new energy resources," wrote Laitner. 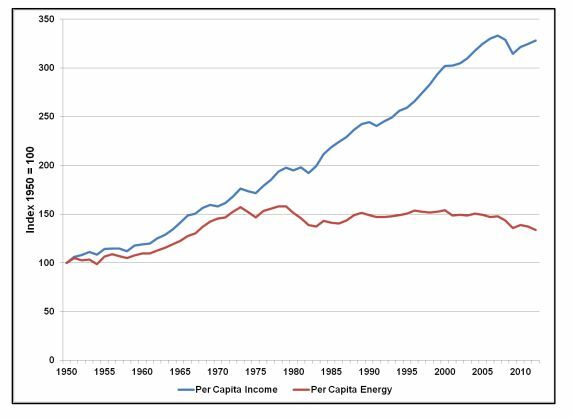 And here's another telling statistic about the impact of efficiency: while per capita energy use is only 34 percent higher than it was in 1950, per capita income has increased 84 percent since then. In his State of the Union address last week, President Obama called for doubling energy productivity by 2030. Until recently, the national political conversation had been dominated by supply-side thinking: should we drill for more oil and gas, or should we develop more renewable energy? 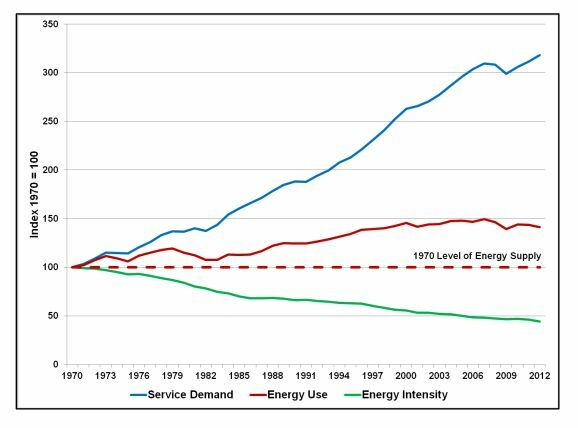 This analysis shows that efficiency is just as economically important as new production -- if not more so.